Jack looked strong at 175lb when he fought Nathan Cleverly on the undercard of Floyd Mayweather v Conor McGregor in August. After struggling with James DeGale near the beginning of the year at super-middleweight it was time to move up. But he is not the only boxer to have gone through a rebirth experience! Sergey Kovalev just delivered a huge 2nd round knockout over Vyacheslav Shabranskyy and regained the WBO light-heavyweight crown. The time is right for the two to meet. Kovalev needs to keep being involved in big fights and even more so for Jack, who still needs to construct a solid fan base. Jack is a lot more smarter than people think he is as a boxer. Just ask gold medalist DeGale! Russian Kovalev would have another hard night’s work where he would have to keep focused and tell us more if he is still the same fighter he was before Andre Ward beat him twice in a row. Even though it was claimed that negotiations were briefly in force, attention has shifted to a potential fight between Anthony Joshua and Kiwi Joseph Parker. Dillian Whyte will possibly be up next to face the American after being installed as number one challenger in the WBC rankings. It has been said that Joshua v Wilder will maybe happen at the back end of 2018, but in boxing you never know what is going to happen! What we do know is the heavyweight class needs a defining champion. Joshua may have a lot of hype surrounding him but it all needs confirmation. Let us hope it happens! We will get this particular probability out of the way first. It is more than likely that this fight will not be taking place next year. Still, Crawford is rising fast as the man to beat. Another couple of solid wins and there is no doubt that is exactly where he will be. But Keith Thurman is the rightful champion at 147lb after dethroning Danny Garcia earlier this year. After taking the rest of 2017 off due to injury, Thurman could have an easy defense first to ease back into the swing of things before considering big names. This is a fight that does not need delaying. Boxing has seen that scenario once too many. 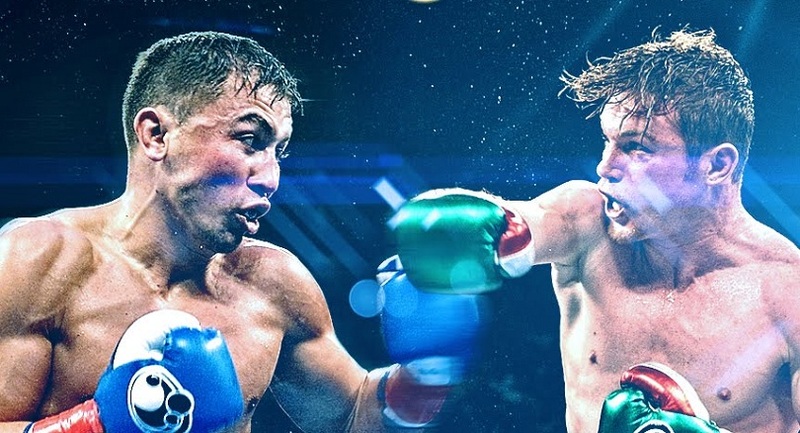 Promoter Oscar De La Hoya has stated that negotiations are ongoing for a rematch between Saul Alvarez and Gennady Golovkin after the fighter’s drew in September. The fans are still anticipating the return to decide who is the true middleweight boss. But we should be cautious! If the sport has let us down before, it can again. Make no mistake, it is likely that the rematch will happen. But whether it will next is unclear. In a way echoing a point made in the last entry, this fight needs to happen next. Not sometime down the line! Mikey Garcia has looked great in his last two fights after being a little inactive during the past couple of years. He got his 37th win after defeating Adrien Broner, securing his unbeaten run. Jorge Linares, holder of the WBA and The Ring lightweight titles, has looked pretty hot on form recently and it is probably time for him to have that fight that will give him the chance to define his career. So, why not try that against Garcia? The Venezuelan would bring the technical prowess and experience while Garcia the power. It would be an intriguing battle where the most interesting qualities of both boxers would collide! Daniel Dubois – on the path to stardom?